There are varieties of problems that can cause your air conditioner not to function properly. It is important to have an experienced and trustworthy technician examine your home air conditioning system. Turn to the professionalism and technical expertise of Bluflame to make sure your air conditioning service is done right. The HVAC experts at local Bluflame will inspect your system, diagnose what went wrong and thoroughly explain your options for air conditioning repair. Central air conditioning, often the best choice for cooling your whole home. Room units, which may be your best bet if you only need a room or two chilled. A split system, which separates the outdoor compressor and condenser from the indoor component, and may be appropriate if your home is already equipped with proper ductwork. Evaporative coolers, which use evaporated water to cool down air and work best in arid climates. Bluflame can answer all your heating and cooling service questions. No matter your needs and budget, Bluflame help you decide on the best option for you and your family! Contact Bluflame at (419) 472-2040 for 24-hour emergency air conditioning repair or service questions. We service all brands of central air units. 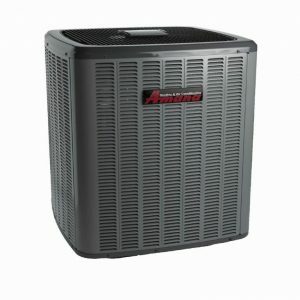 If a new a/c unit is required we are factory authorized dealers for Lennox and Amana heating and cooling products. We have been helping Toledo residents stay cool in their homes and work places since 1954 and because of our fair prices and professional service practices Bluflame has been awarded an A+ Rating from the Better Business Bureau. We proudly service the heating and cooling needs of the Greater Toledo area including: Sylvania, Maumee, Perrysburg, Rossford, and SE Michigan.